This black and white photograph shows George D. Brewer. An active member of the Socialist Party in Crawford County, Kansas, Brewer served as the leading journalist for the party's newspapers the "Appeal to Reason" and the "Worker's Chronicle". In the spring of 1914 he was elected as a national committeeman to the Socialist Party. The honor and privilege of being a delegate to the national party gave Brewer the name recognition he needed. 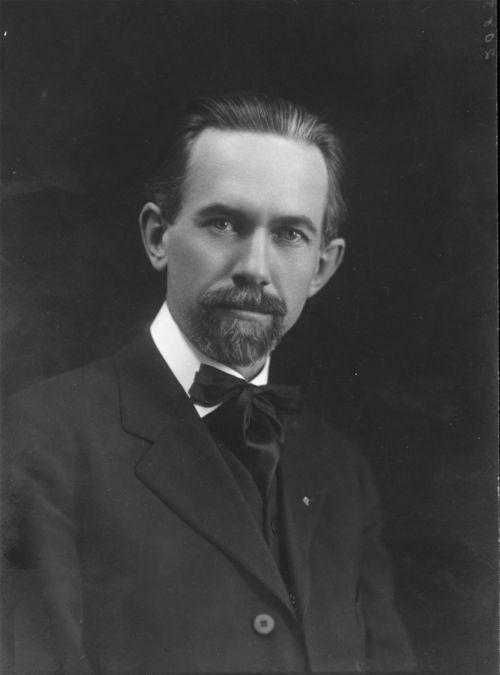 In November of 1914, he was elected on the Socialist ticket to the Kansas Legislature. Brewer served the Twentieth District of the House of Representatives, (1914 -1916). In the November general election, of 1916, Brewer was defeated by Republican candidate F.A. Jewell, by a vote of 3,373 to 3,034. He return to private life after his political career and lectured for the Non-Partisan League in Minnesota and North Dakota. He passed away in January of 1967.